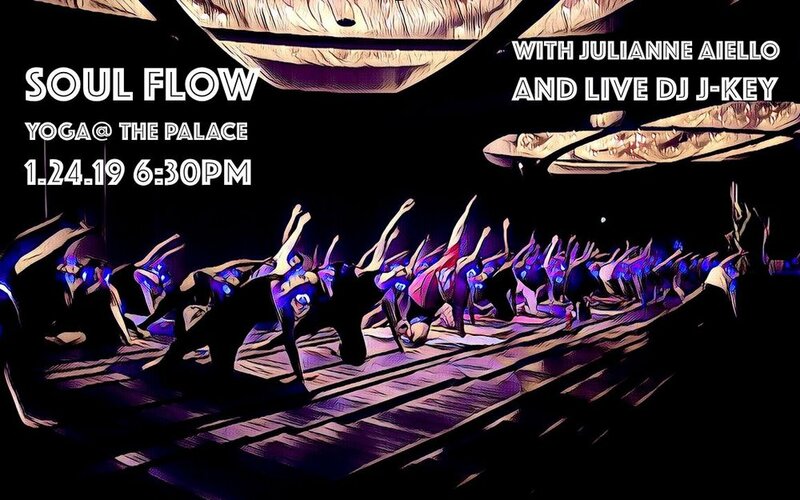 Thursday night groove - Move, breathe and unwind with deep house, deep chill, soulful beats with Julianne Aiello and live DJ J-Key. A beautiful sensory experience of light, visuals and sound. This class includes noise-cancelling headphones that help you drop in to the class and feel present. This is not your regular yoga class! Join them for an epic evening at the historic Palace of Fine Arts! And seriously, everyone is welcome! All levels of yogis (even if you're new) to enjoy and evening of wellness and consious community. Post-yoga, hang out for the healthy happy hour with kombucha and community. This event is hosted by SoFi and Outdoor Yoga SF. Outdoor Yoga SF is a community of nature lovers, yoga practitioners of all levels, and life enthusiasts. They practice all year long at Baker Beach, and host pop-up wellness events around SF. Join them for a special winter gathering! Learn more here. Check out Outdoor Yoga SF here: www.outdoooryogasf.com. Vinyasa yoga means to place in a special way, with breath and with reverence. I teach slow, fluid class to build strength, releasing stress and freeing up energy in the body. I offer yoga as a way to embody presence, liberate the heart and free the mind. My classes include chanting, breathing practices, and movement that supports you in accessing this deep, clear space within. Coming together in community is powerful. It reminds me, as a student and a teacher, that we are here to help each other. And of our potent connection with life itself. Come join us! You will leave high on endorphins and connection - within you and all around. Learn more about Julianne here: www.julianneyoga.com.